The beauty of the primrose is, in the first place, in her early bloom. Unlike many other primroses, she does not aspire to the bright sunlight and happily grows in tree trunks of garden trees or shrubs. But here, in the absence of competition from other flowering plants, it fully demonstrates its decorative qualities. Flowers primrose in all its natural beauty and color saturation. The most common method of reproduction is seed of primroses. 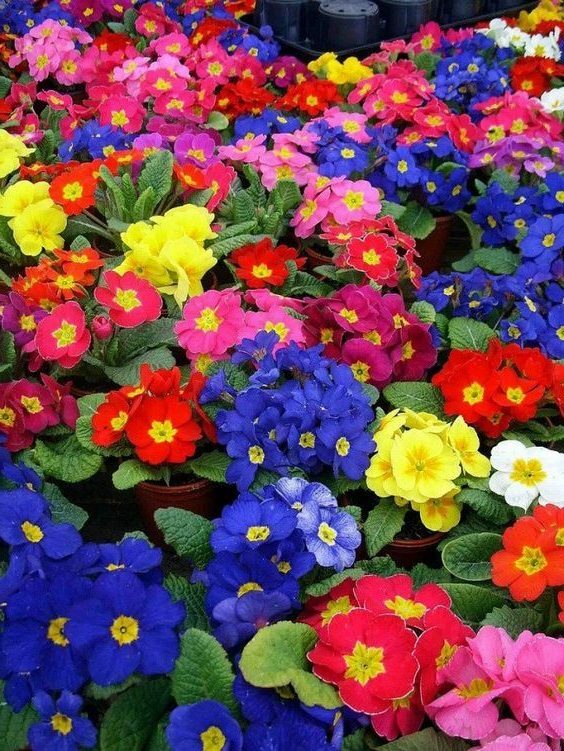 Growing primroses from seed allows you not only to save money, but to get a more diverse and sustainable to the specific conditions of life of the plant. However, exercise is time-consuming and unpredictable: even with all the rules there is always the possibility not to wait for seedlings. The reasons for this may be several, starting with quality seeds. 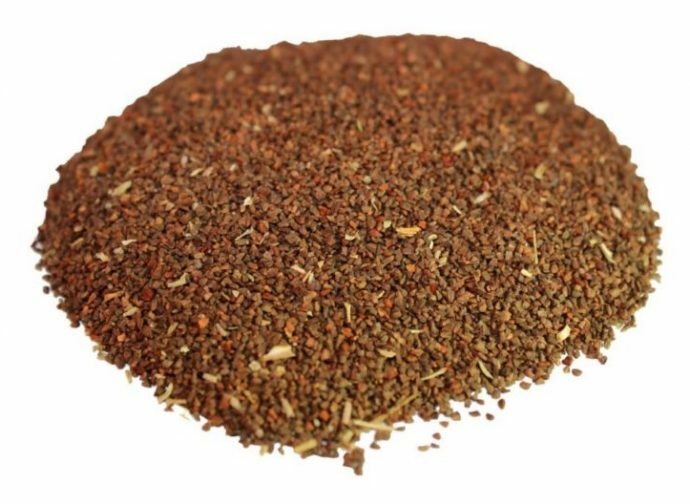 I live in Ukraine, personally, I prefer to choose and buy different vegetable seeds, herbs, protective equipment, including quality flower seeds, agromagazine Floracid – https://florasad-agro.com.ua. It is convenient to choose all the right seeds and get New Mail. If you don't want to sow the seeds in the ground, for sprouting flowers, immediately after receiving, then place the packages in a jar with a screw lid and store them in the fridge, а не в морозильной the camera, until they are needed. This method of storing seeds, allow them to remain viable for several years, in the cold of the fridge. Buying seeds, be sure to pay attention to the expiration date, more precisely, at the date of filling. Primrose seeds quickly lose their germination, in a year the chances of successful germination quickly begins to melt. Photo example, how to look like the seeds of evening primrose, dried whole grain seeds. If your site already grow these flowers, you can collect seeds from them. In this case, the germination rate will be much higher. When growing on a plot of several varieties of primrose flowers, perhaps cross-pollination, there will be hybrids, different from the parent plant. Almost all primrose, with the exception of the finely toothed and obconica, require stratification. It can be done in several ways. Wet 2 cotton pad, put the seeds between them and leave for 2-3 day in container with lid. Then move the container in the refrigerator and regularly check. 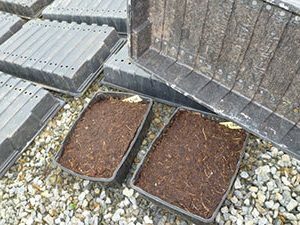 As the germination to plant seeds in boxes of soil. Sow seeds in boxes under the film and place in the fridge for a couple of weeks. Natural stratification: the container with planted seeds to dig at the site level with the ground, for the winter shelter. Seedling primroses are very sensitive to concentrations of mineral salts, contained in the fertilizer. If the mixture is too strong, seedlings may not grow at all, или молодые корни могут быть угнетёнными. Always use compost to plant seeds and look for sandy soil, с волокнистыми добавками, possible. The roots of the primrose are very in need of air, to grow and develop. If the compost is too good, a few waterings will drive all the air. Land preparation and drawer-pot, for germination of seeds of our flowers. Лучшее время для посева семян цветов примулы в землю – это с февраля по апрель месяц. A little cold may help germination, but in very severe areas should delay sowing until March or April. You will still get flowers next spring, if you sow before the end of may. Crops can be produced in June or end of July, if it is really necessary, until then, as long as you keep them cool and moist. The later you leave it, the harder it is to bring small plants, which are not well established for the winter season. Примулы лучше всего сеять в землю с ноября по январь и оставлять семена снаружи. Их можно переместить в затененную рамку в феврале. Всходы примулы нуждаются в свете и воздухе для прорастания. Вегетативный период занимает у примул около полугода, so seedlings they start to plant in early February. Sowing is carried out superficially, because germination occurs in the light. While the seeds should be pressed into the ground, below appeared the roots were able to penetrate into the soil and not dry. To maintain humidity and maintain a constant temperature in the box covered with a film or glass. The photo example beginners to germinate the seeds of the evening primrose, pre-planted in the earth box-capacity. Высокие температуры препятствуют прорастанию. Высыхание – особенно в момент прорастания-обычно является фатальным . Do not put the seeds under glass, as in Sunny days, the air temperature rises, even in winter!! The ideal germination temperature is from 12 to 15 degrees Celsius. Lower temperatures do not harm,but all, above 18 degrees Celsius, смертельно. Никогда do not use the heating propagander. The optimum temperature is about 15° C. A small reduction even useful, and at a higher temperature, germination slow. Sprouted flower seeds primrose, in the photo example, in a small greenhouse, in separate sections, for the convenience of planting in open ground. 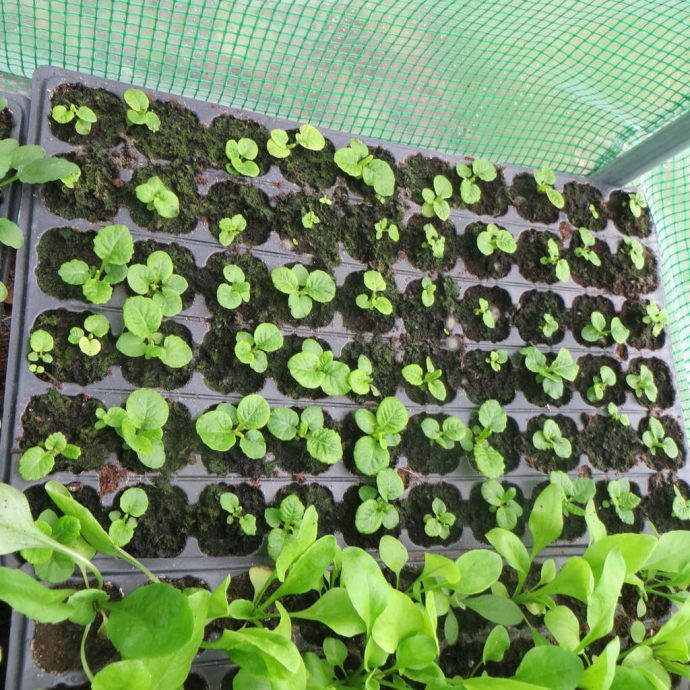 In the future, young seedlings kept in the cool and at the proper humidity, avoiding overflow and condensation forming. 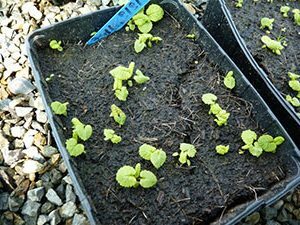 In the open ground suffer, planted the sprouted seedlings of flowers primrose, when the threat of frost passes. 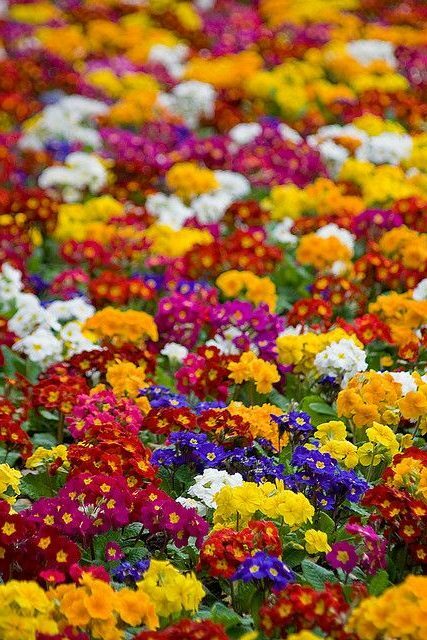 Your work will be compensated, the magnificent beauty of the color of flowers of the primrose, in the decoration of your site, garden, garden. 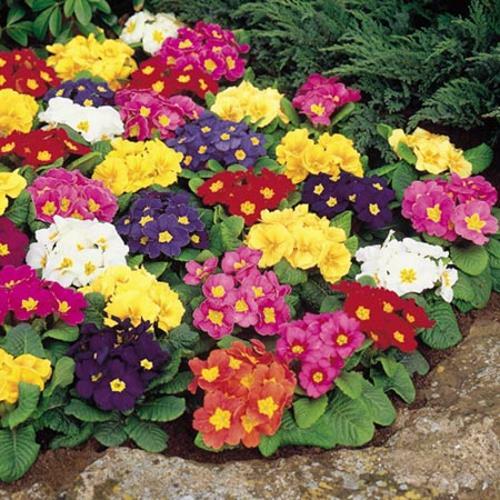 Beautiful, colorful, with dedicated specific color flowers primrose. Another photo example of flowerbeds planted with flowers evening primrose. All content on this site SamDizajner.ru written specifically for Simdesigner, copying 1 in 1 strictly prohibited. Reprint, full or partial rewriting of the article “Growing primroses from seed, storage, seedling and planting”, possible, only when you specify the full, active link to the source.